The aim of this article is to provide economic operators, such as manufacturers, importers and distributors, with information concerning European legal requirements of placing personal protective equipment, in particular head protection equipment, within the European Union internal market. This article consists of two parts. Part 1 is about the general requirements of the Personal Protective Equipment (PPE) and Part 2 is about specific requirements for head protection. Throughout this article references will be made to the PPE Directive, supported by the Guidelines on the application of the PPE Directive, which hereafter will be referred to simply as Guidelines. References will also be made to the Blue Guide on the implementation of EU product rules, which will be referred to as the Blue Guide from here on in. All of these documents can be found through the European Commission’s Enterprise and Industry website. Manufacturers bringing PPE into the European Union internal market must ensure that it complies with the European PPE Directive. The PPE Directive lays down conditions governing the placing of PPE on the European Union internal market and provides basic safety requirements, which PPE must satisfy in order to ensure the health protection and safety of users. PPE is defined as: “Any device or appliance designed to be worn or held by an individual for protection against one or more health and safety hazards.” Examples of PPE product groups are equipment for hearing, eye and/or head protection, equipment for protection against falls from heights, equipment for partial or whole face protection, protective clothing, respiratory protective equipment, equipment for leg and/or foot and anti-slip protection, and equipment for hand and arm protection. Types of equipment not covered by the PPE Directive are protective equipment for use by the armed forces, PPE for self-defence such as personal deterrent weapons, and helmets and visors intended for users of two or three wheeled motor vehicles. In addition, presentation of PPE that is not in conformity with the provisions of the Directive is allowed at trade fairs and exhibitions, provided that an appropriate notice is displayed drawing attention to this fact. The basic health and safety requirements (BHSRs) as laid down by Annex II of the PPE Directive cover design principles such as ergonomics, innocuousness aspects, design strength and information supplied by the manufacturer, and must be met before PPE is allowed into the European Union internal market. The PPE Directive is currently the oldest of the so-called ‘New Approach’ legislation. As such it lacks the coherent duties and obligations of economic operators, such as manufacturers, importers, distributors and authorised representatives, as recently introduced by the New Legislative Framework for the marketing of products. 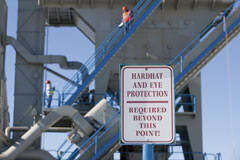 This omission is to be rectified by a future PPE Regulation. Nevertheless, the current PPE Directive identifies manufacturers and authorised representatives as main actors responsible for establishing conformity with the PPE Directive. Although not defined in the PPE Directive, importers and distributors are widely recognised by national market surveillance authorities and have obligations deriving from Decision No. 768/2008/EC. Importers or distributors should also realise that they are considered to be manufacturers, and will be subject to the obligations of the manufacturer when placing a product on the European Union market under their own name or trademark, or if they modify a product already placed on the market in such a way that compliance with the applicable requirements may be affected. The main obligation of a manufacturer placing its PPE on the European Union internal market is to ensure that it satisfies the BHSRs, as set out by the PPE Directive. He or she can achieve this by using European harmonised standards, the references of which are published in the Official Journal of the European Union. By using harmonised standards, the European Union Member States presume that the PPE satisfies the BHSRs. The second main obligation of a manufacturer is to affix a CE mark and to provide an EC Declaration of Conformity. EU Member States should regard PPE bearing a CE mark that is accompanied by an EC Declaration of Conformity to be compliant with the BHSRs. It is important to realise that by affixing the CE mark, the manufacturer declares that the product not only satisfies the requirements of the PPE Directive, but that it also conforms to the provision of other applicable European Union harmonisation legislation. The manufacturer has the obligation to put together technical documentation, regardless of the category. The technical documentation must comprised all relevant data on the means used by the manufacturer to ensure that PPE complies with the BHSRs. 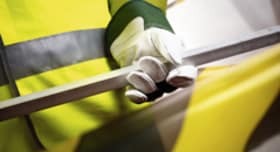 Manufacturers of simple design PPE are allowed to assess the level of protection and declare conformity by means of an EC Declaration of Conformity, without the interference of a Notified Body. Manufacturers of Category II PPE are subject to an EC type examination by a Notified Body, followed by an EC Declaration of Conformity by the manufacturer. This category covers PPE that is defined by neither Category I nor Category III. Manufacturers of Category III PPE are subject to an EC type examination by a Notified Body and to one of the two quality assurance procedures as described in Article 11 of the PPE Directive. Upon completion, the manufacturer must compile a Declaration of Conformity. Now that we have covered the basic definitions, main obligations and legal classifications of the PPE Directive, it’s time to look at more specific requirements for head protection PPE. In addition, EN 13087, which is also a European harmonised standard, covers a wide range of standardised European test methods, used by test laboratories and/or Notified Bodies during their assessments. Taking a closer look at these standards, there are many different requirements to consider. All of which depend on the intended use, the user and the environment in which the head protection will be used. Overall construction and field of vision are obviously main characteristics that should be considered by (potential) manufacturers. Furthermore, criteria like chinstraps, fastening devices, head mobility, eye protection, shock absorbing capacity, durability, and ease of release are to be considered. It’s important that (potential) manufacturers outline the intended use, the level of protection, the end users (i.e. consumers or professionals) and the environment (i.e. general or industrial) of the PPE, before proceeding with the manufacturing process. As much PPE is manufactured outside the European Union, importers should be very careful when choosing a third-party to buy from or to have manufacture their PPE. They should take into consideration that once they import their PPE into the European Union, they themselves are considered to be manufacturers and take the full responsibility and (product) liability of the products they bring into the European Union. Naturally the importance of head protection is not something anyone would like to take lightly. Unfit head protection can lead to severe head traumas and even fatal injuries. In order to properly inform the end-user of the considerations taken by the manufacturer, it’s important to stay in line with marking requirements as stipulated by the harmonised standards. Some general markings that should be applied to the PPE are the number of standards used, name and trademark of the manufacturer, designation of the model, designation of the intended use, size or size range of the helmet, its weight and year of manufacture. This article outlined the general legal obligations by the PPE Directive in Part 1. The second part of this article aimed to provide an introduction into the appropriate classification, the available European standards and important considerations to be considered by the manufacturer. 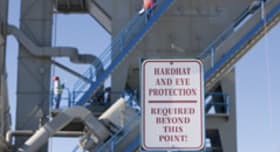 Whereas most head protection falls within Category II, meaning an involvement of a Notified Body is required, the manufacturer must consider carefully which Notified Body he or she is willing to work with. It’s advisable to consider a Regulatory Compliance Affairs consultant if there is insufficient know-how on the subject of legal obligations, technical specifications and conformity assessments procedures. Finally, to conclude this article, economic operators should be on the lookout for a new European Regulation on PPE, which will replace the current European Directive. It’s unclear at this point when the Regulation will enter into force. The Regulation will apply two years after entering into force and as such is expected to become applicable somewhere in 2017/18.